Innoventions Plaza is located behind Spaceship Earth and is home to two pavilions, Innoventions East and Innoventions West. Each center features unique exhibits focusing on scientific and technological innovations. By using imaginative displays that encourage interaction, there's something for all ages to enjoy. Innoventions is one of those overlooked treasures where you can get a break from the Florida heat and crowds. Kids can work off some energy and learn while playing. There are tons of hands-on activities that they'll love to experience. Give it a chance, you'll be glad that you did. It does get busy on occasion, but that's rare. Power of Color Theater - A 30-minute experience that explores the pyschology of color, using different shades, sounds and narration to showcase how these colors can represent our emotions. The Color Lab - Two interactive stations encourage everyone to join in on the fun. In "Color Mix 'n Match," you can mix a variety of colors together to create something new. In "Spinning Spectrums," color perception is tested using revolving multi-colored disks. As the disk spins, guests have to guess the color. Color Our World - Use a magic paintbrush to create scenes on a digital screen. 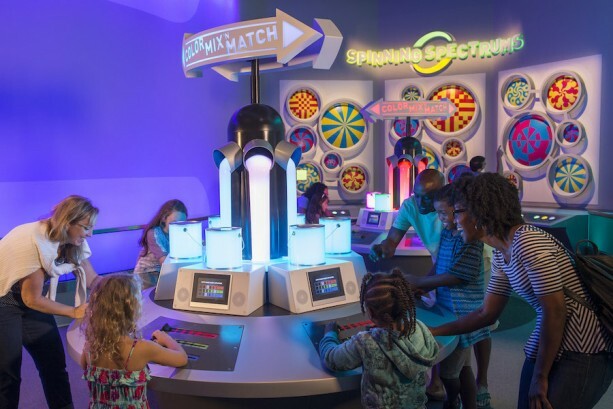 Innoventions West is temporarily closed. A "new experience" will be coming, but exact details are not yet known. This is where you can meet Mickey, Minnie, and Goofy in their futuristic clubhouse. 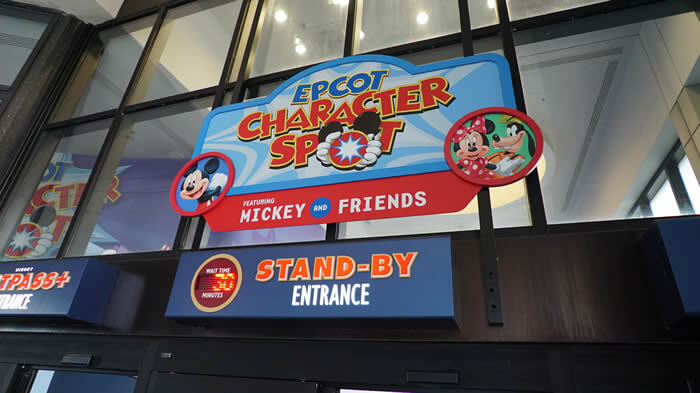 FastPass+ is available for the original Character Spot, but is not currently available for the expanded area across the breezeway. A second Character Spot has opened up across from the original. 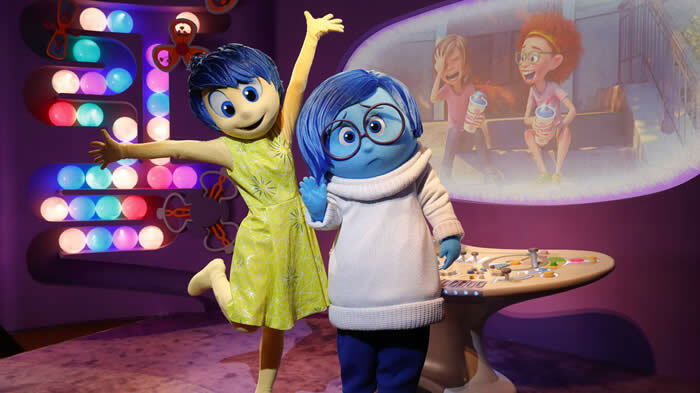 Guests can now visit Headquarters to meet Joy and Sadness, two Emotions from the film Inside Out. In the queue, you'll get to check out Riley's long-term memory and see her Islands of Personality. The expanded Character Spot is also where guests can meet Baymax in his makeshift robotics workshop. 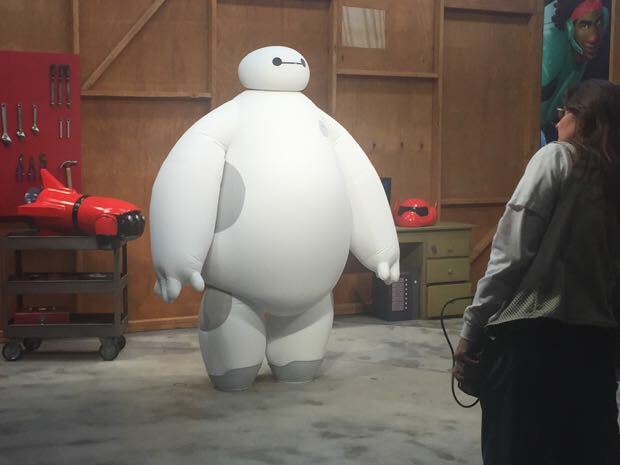 Guests cannot wear pins or lanyards when greeting Baymax. He does not sign autographs. This is located in the corridor behind Character Spot. There is a food kiosk serving snacks (chips and trail mix) and drinks (sodas, water, alcoholic beverages and frozen drinks). There are also tables, chairs and electronic charging stations.